Earlier in the Summer I started reading chapter books with my 5 year old. He’s reading really well and I thought the style and humour of Roald Dahl’s books would give him extra encouragement to learn more words and improve his reading. The first book we read was George’s Marvellous Medicine, then The Magic Finger and we’re currently reading James and the Giant Peach. We have The Twits lined up for our next book. Can you tell I’m enjoying re-reading the books with him? Some of Roald Dahl’s most famous books are James and the Giant Peach; Charlie and the Chocolate Factory; The Magic Finger; Fantastic Mr Fox; Charlie and the Great Glass Elevator; Danny, the Champion of the World; The Enormous Crocodile; The Twits; George’s Marvellous Medicine; The BFG; The Witches; The Giraffe and the Pelly and Me; Matilda and Esio Trot. We love to craft inspired by the books we’re reading and over the summer holidays we had quite a lot of fun with our mud kitchen inspired by George’s Marvellous Medicine and our own chocolate play dough, inspired by Charlie and the Chocolate Factory. 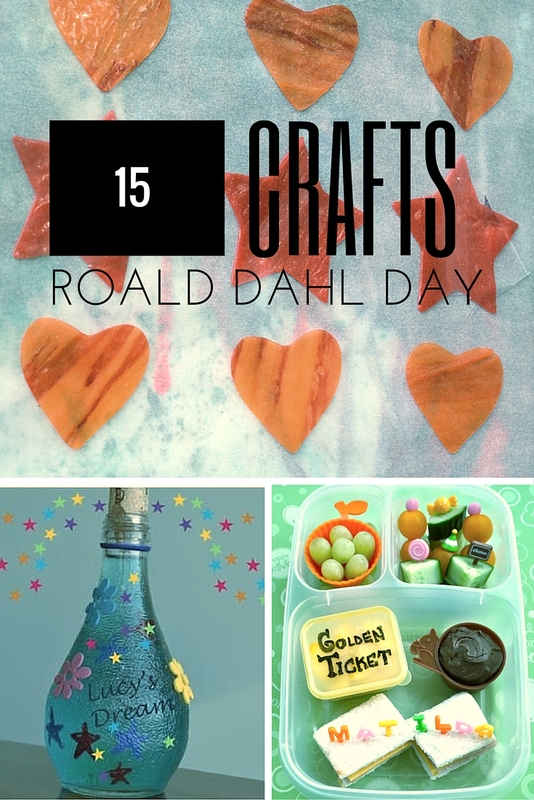 We’ve had so much fun inspired by Roald Dahl that I have brought together 15 of my favourite crafts in time for Roald Dahl Day on 13th September. I’m a librarian and this has pleased me so much! There’s some brilliant ideas here I may just have to take to work with me! Roald Dahl Homeschool Style ~ including complete homeschool reading guide, resources, and comprehension questions!